Two men who changed history never met, but they should have. They had an enormous impact on each other’s lives. They both were men of war. One would survive. The other would not. The following gives voice to General Draza Mihailovich, the one who did not survive, and what he might have said to the one who did, the great Statesman Winston Churchill, had he had the chance to do so. During a critical period in the history of the world, our paths crossed in a fateful way, though we would never meet. I would die first, without any of the glory that was bestowed upon you during your lifetime and upon your death. I never had the chance to face you, man to man, though you depended on me and I, for a time, counted on you. Now, we meet face to face, and I need you to hear my words, for you have always had the benefit of your words being heard far and wide and you have shared your thoughts and your life with the world. I want no such claim to fame. I just need you, and you alone, to hear me now. Let me take you back to the time when our paths converged and the course of history was forever changed. 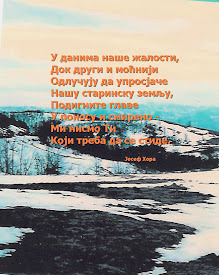 It is my feeling now that it wasn’t the Yugoslav communists or the Nazis who were my greatest enemies. I could have handled the partisans and did so for most of the war. 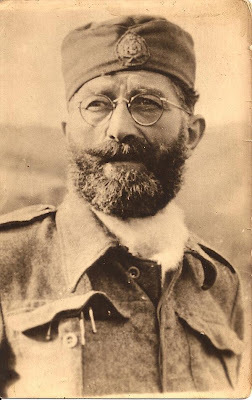 My Serbian resistance forces handled the Nazis better than any of the previous seventeen nations did who had fallen to Hitler in a matter of just a couple of years. It was the massive support the British Establishment would give to the partisans in weapons, material and propaganda, that became my greatest obstacle and led to my ultimate downfall. However, it was how the British Establishment mishandled the inter-war years that must weigh on you as well, Winston. As a result of the mishandling of crucial and critical moments during this period of peace, I would inherit one monster and you would eventually feed me to another, though I would remain loyal to you to the end. 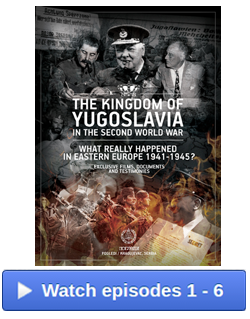 You made many promises to the government of Kingdom of Yugoslavia before March 27, 1941, but when Hitler attacked you were nowhere in sight. You were the greatest Empire on the face of the earth. Likewise, you made many promises to me when I started the resistance against the Nazis, but delivered very little. Considering that I had some 80,000 men under arms and thousands of others I had no arms to give to, all of your help to me during the four years of the war I was involved in amounted to just one pound of material per man. You made excuses that you didn’t have the transportation means to deliver the goods. 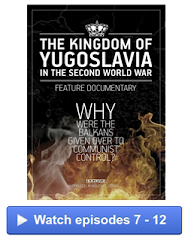 But once you started supporting the communists of Yugoslavia with thousands of tons of weapons and material, you had plenty of planes and ships to do so. For a long time, the Serbs had looked to Great Britain for inspiration and protection. However, in 1938, as Hitler was about to start another bloody war, you were able to equip just two divisions of men, and the following year, 1939, only 5 divisions on land. The Serbian faith in you was truly misdirected. Germany lost the largest amount of counted dead in the First World War, but she was not the worst proportionate sufferer. That country was my beloved Serbia, who lost 15 percent of her population, compared with something between 2 and 3 percent of the British, French and German populations being lost. 15 percent. I was, and would always remain, cognizant of that. Like many of my generation who had survived the horrors of the First World War, I was terrified lest that this new war would lead my people, the Serbs, toward a ‘national suicide’. So the question arose of which was the best way to fight the Nazi enemy. I felt that it was to build up my forces, to launch effective sabotage actions, and guard our resources until such time as a national uprising in conjunction with a decisive Allied offensive could have a real chance of success. You agreed with this method. It was your method as well. But you did not keep up your end. You would come to expect and demand far more of me and my forces than you ever expected of your own people. Let’s revisit how the monster was created. Accountability always withstands the test of time, and hindsight, when honest, will reveal more than we were ever willing to acknowledge at the time. 1935 was the critical year, really, if we are to honestly assess accountability for what was to follow. In February of 1935 your British leaders, along with the French, let Hitler know that as far as you were concerned, the Versailles Peace Treaty was dead. You agreed that Germany should be allowed to rearm. Why? Because the Nazis were to be the bulwark against the encroachment of Bolshevism you feared more than anything else. Soviet Russia was a threat to the holdings of your great Empire, and the Nazis were the solution to containing that threat. This was exactly the time when Hitler began to make serious moves to start another war. How could the British be so blind? Within the span of just one week, from March 9 of 1935 to March 16, Adolf Hitler would announce the existence of the German Air Force, which was forbidden by the Versailles Treaty, and declare conscription, also forbidden by the Treaty. As became clear to him, you no longer respected the Versailles Peace Treaty, therefore, why should he? On March 4, 1935 a Report on Defense came out in Britain showing Britain’s total lack of preparedness to defend herself. Do you wonder, Winston, as I do, whether Hitler was fully aware of Britain’s weakness as an Empire and proceeded accordingly? On June 18, 1935 you signed the Anglo-German Naval Agreement which allowed Germany to build up her Navy even if you knew it was forbidden by the Versailles Peace Treaty. You did this behind the back of France and Italy only two months after you met with French and Italian leaders at Stressa where you pledged to keep Nazi Germany from extending beyond her borders and to condemn German rearmament, the very same rearmament that you had supported earlier that same year! The diabolical behavior of the British proved to Hitler that you were prepared to do anything in the interest of the British Empire, no matter how it might hurt others, especially the smaller nations of Europe. In 1935 you could have stopped Hitler in his tracks. Instead, the British not only tacitly supported him, but ended up giving him Europe on a silver platter. When Hitler took his first step towards another war that would destroy 30 million human beings, by sending 3 battalions of his troops into the demilitarized Rhineland on March 7th of 1936, you weren’t there to stop him. You did not act. France, following your lead, did not act, though she had more than enough resources to do so. France had become so submissive to you that she would do nothing the British did not approve off. This would cost her dearly. Just six months later, former British prime minister Lloyd George visited Hitler and came back with nothing but praise for the German dictator. He called him a “man of supreme quality with no warlike plans.’’ The following year in 1937, you yourself prophesied that there would be no major war “in our lifetime”. One month later, Lord Halifax, a top British diplomat, declared, after visiting Hitler, that he liked all of the Nazi leaders, even Goebbels, and that he was much impressed, interested and amused by the visit. You had more spy agencies and secret service organizations than any other country of Europe. Where were they to discover what Hitler planned in just a few years down the line? Belgrade was full of British secret service agents when they should have been in Berlin instead. Your predecessor, Chamberlain’s government in the late 1930s was, indeed, one of the most third-rate governments in British history. ‘It was without talent, or intellect or independence.’ That made it criminally easy for Hitler and Mussolini to pull the trick they did on September 29, 1938 when the Munich Agreement sealed the fate of Czechoslovakia. For all practical purposes, the British gave the green light to Hitler to begin the war he had been preparing for with the blessing of the great western democracies in Europe. It should not be forgotten that at that time Great Britain was an empire of 450 million subjects and France was an empire of 80 million subjects. Both had unlimited resources and manpower available to them. Both failed to stop the monster at the door when they still could have before a single fatality was incurred. At the time of the Munich Agreement when Germany, Italy, France and Britain compelled Czechoslovakia to cede Sudetenland to Germany, thereby selling out Czechoslovakia, there were highly positioned German military men who wanted the British to get engaged in helping them get rid of Hitler, but their hopes were dashed. You still believed Hitler would save you and all of Europe from Bolshevism, though you, Winston, would chastise Chamberlain severely for the Munich disaster, declaring that ‘now we will have a war in our lifetime!’ It would only be a few years later that you would demand that Serbs kill Germans regardless of the human cost to our people and our small nation and would turn to the Bolsheviks that you had feared so much to be your ally against Hitler. Serbs would pay the ultimate price for your policy of appeasement throughout the inter-war years and for your duplicity in switching alliances whenever it served your purpose. At what point, I wonder, did your Great Empire lose her shame over the course of these crucial years. I will wonder this once again in the coming dark years, dear Winston, not about your Empire, but about you. On March 8, 1939, Halifax, Britain’s Foreign Secretary, spoke of the golden age of peace and prosperity that cooperation among the leaders of Britain, France, Germany and Italy might bring. It was only one week before Hitler marched his troops into Prague and swallowed Czechoslovakia. Once again, neither France nor Great Britain made a move. Those in power in Europe that could have changed the course of history in those years after the end of the World War One became absorbed by the anti-Bolshevik obsession. They were blinded to the possibility that the other ideologies that were developing in Europe, Fascism and Nazism, were no better than Bolshevism. The people that were playing these deadly games were kings, prime ministers, chief-of-staffs, high-level financiers, Lords, media moguls and others. When the whole game of appeasement collapsed and Hitler and his armies became almost invincible you began exhorting me on to lead the nation of Serbia into suicide by killing Germans and losing 100 Serb lives for every killed German soldier. At this time, the French army was the strongest one on earth. The French Empire, with 80 million inhabitants, was second only to that of the British. French industries were growing faster than the industries of their European and American rivals. French banks held much of the globe’s gold, amounting to one quarter by 1932. But in June of 1940 that same France with all of her manpower and resources would fall quickly to the Nazis in just a matter of weeks. Winston, Imagine that! It was a great tragedy for France and a still greater tragedy for Serbia that had counted so much on that country for protection against monsters such as Hitler and Mussolini. On January 10, 1940 a German military plane crashed in Belgium. On that plane was a German General Staff officer who had on the plane with him Hitler’s war plan for the invasion of Western Europe. After the crash, this plan fell into Allied hands, a huge stroke of luck for the Allies. According to that plan, Hitler was to attack France through Belgium, come west of the Maginot Line, behind the back of French troops, enabling the quick capture of Paris. This plan was discussed at a secret meeting of the Allied Supreme Command in Paris. Your former British King, Edward VIII, was present at that meeting, as a British military representative. After the meeting, Edward VIII, a longtime admirer of the German dictator, informed Hitler that the Allies had his war plans, thereby committing an act of treason that would prove fatal for the Allies. This was not the first time that Edward would be helpful to Hitler. He had previously let it be known to Hitler, after Hitler tested European resolve by occupying the Rhineland in 1937, that he could move ahead with his plans as Britain, and therefore France, would not move against him. Unaware of the British king’s treachery, and going by the plan, the French pulled virtually all of their troops to the Belgian border to wait there for the German attack. They waited in vain. Using the information he had received from Edward, Hitler changed his plan and attacked France through Ardennes where no troops of any significance were waiting for him. The defeat of France was completed in only six weeks. The former British king had committed high treason not only against his own country but against all of Europe and the world. If he had not done so chances are that Hitler’s armies would have been smashed on the Belgian border and it would have been the end of both Hitler and the war. Therefore, your former British king is greatly responsible for the deaths of over 30 million people and for the enormous destruction five years of war would wreak on the world. As soon as France fell in June 1940 you began working on dividing the Balkans into Soviet and British spheres of influence – the Soviets being over the eastern and the British being over the western. Now, the Bolsheviks were no longer the enemy. Now, they were the Ally. This would be the precursor of sealing the fate of the Serbs in the years to come. In just a year from that time Hitler and his armies would reach the height of their power. Come 1941 and the beginning of my resistance to the Nazis you would begin using me and my forces for your purposes as long as it suited you. Unlike you, we had never appeased. We had never supported the enemy either directly or by default. We knew the nature of the enemy from the very beginning and never wavered in our resolve to fight them. You knew this, yet it would be you that would betray us and sabotage our efforts. We would begin on your side and end on your side, but you would betray us. You would demand that we kill Germans at great cost to ourselves, yet you would make no such demand of sacrifice from your own people. When the Germans occupied the British Channel Islands at the end of June of 1940, the only occupied British territory in the entire war, did you ever ask the 60,000 Britons living on those islands to kill Germans? In fact, there was no resistance on those islands and no German was killed on them even though they occupied them until June 1944. In fact, the British people living on those islands collaborated with the Germans one hundred percent. How, Winston, knowing this, could you ever have conceived of considering my forces and me collaborators? Your own people were real collaborators. Instead, you chose to conform to the inventions of Communist propaganda and accused us, your allies in the same cause of being traitors to that cause. In June of 1942 you accused me, on the basis of communist propaganda, that I contacted General Nedic and therefore was a German collaborator. The fact is I never contacted Nedic. Had you forgotten your own unsavory dealings by that time or were you looking for a way to camouflage those dealings? Remember when Hitler took France and split the country into two parts? One part was occupied by the German troops and the other part was left to Marshal Petain to govern from Vichy. Petain would promise Hitler complete cooperation. This was known. The British would make several contacts with Petain through your South African and Canadian diplomats. The British would negotiate a deal with the Vichy government in Autumn of 1940, once again effectively undermining the myth of Britain always putting resistance to Germany as its top priority. How were you able to live and govern with your hypocrisy? At what point did you lose your shame? In the Spring of 1942 when I still had a small army of poorly armed fighting men, you began to intensely blackmail me to kill more Germans in order to receive more supplies from you – supplies you promised but never delivered. You did this even after authorizing the mass evacuations of over 300,000 troops from Dunkirk in June of 1940, when, instead of fighting the Germans, you retreated. In 1942 you had your Mediterranean Army numbering 750,000 men, but when Rommel began his operations in Tobruk with just two German divisions (not more than 50,000 men) he had you running all over North Africa back to Egypt in total disorder. Were the Germans that powerful that even in tiny numbers compared to your own forces, they were able to scare you into retreat repeatedly? If so, how could you then in good faith keep demanding of me that my people face the enemy at all cost, regardless of the sacrifice, and fight to the death? In fact, on any significant scale, British and German troops did not fight any large battles on the ground between June of 1940 and 1943. Between June 1940 and February 1941, a period of seven months, you did not fight the German Army at all and did not kill Germans. Until the end of 1942 you never fought more than four (weak) German divisions out of a total of over two hundred. From there on you never fought Germans alone. It was always with American supplies and men. It’s clear, Winston, that killing Germans was not your priority when it concerned British lives. But still, you would blackmail us – making promises you never kept, demanding that we kill more Germans. It did not matter to you that Hitler, from the very beginning to the very end of our resistance in the war years, viewed me and my forces as a primary enemy to be reckoned with. You would withdraw all support of me and my resistance movement under completely false pretenses with no regard for the reality of warfare and how it was being conducted in Yugoslavia. 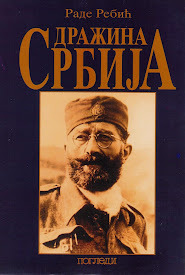 You would ignore the advice of your own military leadership that British support should continue to be focused on the Chetnik forces and not those of Josip Broz. You would rely on manufactured misinformation generated by your own people and by the Yugoslav communists that you would come to support, much to your later regret. You would sell us, the nationalist, anti-Bolshevik Serbs out to the communists like Chamberlain sold out the Czechs to the Nazis, thus precipitating the Cold War that would follow. 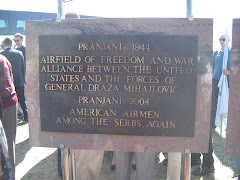 It was after you cut off all of your support to Serbian nationalist forces in Yugoslavia that the Germans were offering 5,000 marks for the head of every Allied airman downed on Serbian territory. There were hundreds of such airmen, but none that fell on Chetnik controlled territory ever fell in German hands. They were protected, fed and eventually evacuated to friendly territory. My Serbs were faithful to the Allied cause to the end. They were saving hundreds of Allied lives despite your having abandoned me and my forces. But you betrayed these loyal Serbs anyway and sent tens of thousands of them to their death in communist hands. Winston, please tell me you feel shame for this. In 1943, when you began abandoning me under the false pretense of not killing enough Germans, John Amery, the son of one of your British ministers, was going around to prisoner of war camps in Germany and recruiting captured British soldiers for SS formations. I recruited no one to help the Nazis. I disrupted their operations across my heavily occupied country as much as humanly possible and successfully so, considering the force and vigilance with which Germans were guarding these zones. While I was asking the Serbian peasants to hide their output from the Germans, in other occupied countries of the west people carried on their normal lives by going to work with a large part of their industrial and agricultural output going to the Germans. There were seven million foreign workers working in Germany by mid 1944. There were another seven million working for the German war machine in their own countries. It would have been impossible for me to kill enough Germans to offset in any significant degree the total output of these workers, most of which were voluntary workers. This was real collaboration, the result of which was support of the Nazi war machine. There was absolutely nothing that we Chetniks did that supported the Nazi-Fascist war machine. Yet we stood accused and would ultimately be condemned. During the collapse of Italy in September of 1943, the Western Allies once again mishandled a golden opportunity. For several months before the collapse there were Italian generals in Yugoslavia who wanted to join with me to fight the Germans. The Western Allies were informed of this, but under British influence the offer was ignored. As a consequence, most of the arms of the Italian occupational troops in Yugoslavia ended up in Communist hands. More importantly, the Germans captured more than 600,000 Italian soldiers and sent them to work in Germany in support of the Nazi war effort. If you had handled this situation in 1943 properly the war might have ended up at that time. Considering that most of the war fatalities occurred in 1944 and 1945, the British should have been charged with war crimes they committed by default. At the time of the Italian collapse there was a million-man Italian army that could have been saved and used by the Allies to kill a whole lot of Germans if that was what was most important to the British. That didn’t happen, because you failed to act properly. Nothing is more indicative of your failure to ‘act properly’ as in how you mishandled our efforts and our successes to validate your own ethical failures and severe lapses of good judgment. Your cabal of communist agents serving in your Cairo office and the liaison officers that sabotaged us every step of the way caused more damage to the cause than any Nazi ever did in all the years of the war. Your agents were received courteously and with an open mind by my Chetniks, on the assumption that complete cooperation and integrity would contribute most to the common aim, the defeat of the enemy. But most of your officers and agents, with the exception of those that respected the truth, proved to be insincere, and their presence in Yugoslavia was harmful. They were obsessed with their political role and were blindly enamored of Tito and his Partisans due to British ignorance and lack of foresight. They deliberately failed to inform their superiors about the importance and seriousness of our actions. They contributed greatly to the success of the destructively pervasive Communist propaganda and thereby undermined our honorable goals, goals Winston, which paralleled your very own. Or so we thought and were led to believe. Your SOE agents with me were able to carry on their assignments in Yugoslavia because my forces protected them. You had no SOE agents in Czechoslovakia or Bulgaria or some other countries of Europe, because there was no one there to protect them. Yet, your propagandists and saboteurs designated me as disloyal to the Allied cause. One might rightfully be justified in wondering if there really was a conspiracy in all of this. What I do know first hand is that conspiracy or no conspiracy, your conduct was in bad faith, and you did not prove yourselves to have the attributes of a civilized people. When Deakin, who was sent to Tito’s headquarters in May of 1943, and whom immediately became ‘convinced’ of my alleged collaboration with the Germans, reported to you about the great Partisan undertakings against the Germans, he didn’t know, or didn’t want to know, that the Partisan Supreme Command had negotiated with the Germans only two months before his own arrival in Yugoslavia. Deakin, like your friend Fitzroy Maclean after him, as did other British agents with the Partisans, wrote their reports while never going out in the field to verify the situation there. The Partisans did not want them out in the field. Those British and American agents with me were allowed and encouraged to crisscross the country at will before writing their reports. We had nothing to hide. 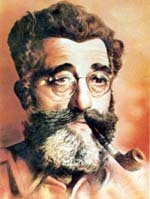 When your Foreign Minister told you in November of 1943 that he still didn’t have any evidence to support the charges of collaboration that the communists and their British sycophants were making against me, you did not change your plans to abandon me, despite the strong advice you were given against doing so. Why did you trust the word of your communist cabal in Cairo over that of your own ministers? What were you afraid of? 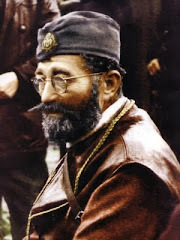 Lord Selbourne, when he was head of the SOE organization, did not approve of the British switching their support from the Chetnik forces to the Yugoslav communists. But his judgment was ignored. Winston, did you honestly believe that by supporting the Yugoslav communists, who never actually met any of your expectations as fighters for the common cause, that you could somehow revive the fighting image of the British soldiers, an image that was badly tarnished by the collapse of France in 1940, and your failings later in Singapore, Malaya, Tobruk and other places? 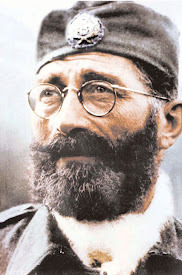 What I do know is that you expected, no, demanded, that Serbs fight your battles for you and that they make the sacrifices you were never willing to ask of your own people. Colonel Bailey and Brigadier Armstrong did advise your British Establishment that toward the close of 1943 in Serbia, my forces were everywhere and the Tito’s forces amounted to nothing. You did not alter your course as a result. You would betray and abandon me regardless of the facts presented to you from credible sources. Why? Only you can answer that question, Winston. Did you do so because you had to maintain justification of your actions? How you handled my fate was a great disservice not only to me, my people, and my country, but to the Allied cause. You were supporting the Turks from the beginning to the end of the war. You supplied them with arms and tanks, even when they weren’t in the war. But all this time the Turks were supplying Hitler with chrome so he could continue to carry on the war. Albert Speer, Hitler’s Minister of War testified at the Nuremberg Trial that without getting chrome from Turkey and other countries, Hitler would have been forced to stop the war in 1943. You had the power by means of your ships to stop the Turkish shipment of the chrome and therefore to stop the war in 1943. Considering that most of the deaths in this war occurred in the last two years of it, does this ever bother you Winston? During this time, while the Turks were supporting the Nazi war machine, as were the other Neutral countries, we were fighting to defeat that machine. But we didn’t ever get the support from you that the Turks did, did we, Winston? Working with the Greek nationalists I would have, if properly supplied by the Allies, opened widely the door for the Allies to enter Europe from the south and the lives of the thousands that died on the beaches of Normandy in June of 1944 would have been spared. American intelligence officers with both the Chetniks and the Partisans would later confirm that Tito was spending British supplies on fighting my forces and me instead of fighting the Germans. How much of this tragic irony were you aware of, Winston? Early in March of 1944, after the military abandonment of me had been completed, you ordered that information be obtained from the British officers at my Headquarters as to whether there was a dissident group capable of removing me as a military leader. Soon, some of your agents and leading politicians suggested removing me by any means, including a possible assassination. I don’t believe you were ever willing to or wished to go that far, but looking back now at how my fate turned out at the hands of the Yugoslav communists, the very people to whom you gave your unmitigated support, it may as well have been you that pulled the trigger and ended my life. For twenty years between the two great wars, the British were propping up Hitler and Germany as a bulwark against Bolshevism. But in 1939 the Soviets and Germans would end up collaborating with each other through the Non-Aggression Pact. This would not last long, but later, it would be you that would play right into Soviet hands as your bulwark against Nazi Germany. You were willing to enable anyone, it seems, to protect your interests, despite the human cost and the future consequences for the millions of innocents that would survive the four years of war only to fall victim to the scourge that would follow. Yes, Winston, you made a lot of noise about “killing Germans”. You send hundreds of your agents to Yugoslavia to incite Serbs to kill Germans using the question of ‘who was killing more Germans’ as the pretext for switching your support from my nationalists to the communists with the justification that the latter were killing more Germans, even thought the facts and the reality did not bear this out. You never considered, either, that the partisans did not care about the reprisals, the human casualties of such actions, but that I did care. Most of the Germans stationed in former Yugoslavia prior to the collapse of Italy were in Serbia where there were no partisans after November 1941. There was one German division consisting of five thousand men in Banja Luka, but there is no record that the Partisans ever attacked Germans in that city. In fact, all of the battles that the Partisans had with the Germans were initiated by the Germans and were later called the “Seven Offensives” by the communists. 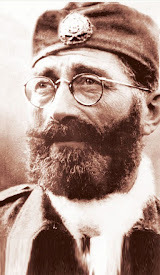 The chief Partisan commanders Peko Dapcevic, Koca Popovic, Kosta Nadj and others never mention any other Partisan battles with the Germans except for these seven offensives. Winston, did you know then that these were always operations in which the Germans were attacking and the partisans were running away? It was during the Seventh Offensive in May of 1944 that the Germans chased the complete Partisan Supreme Command, including Tito, out of Yugoslavia. He would not return until the Soviet Army made it safe for him to do so. There were almost 20 separate large German operations against my forces. To each of these the Germans gave a code-name and in some of them more than one German division participated. Yet you did not provide the support or supplies you promised, ignoring the reality of what was happening on the ground in Serbia. Your inhumanity towards my people and me knew no bounds. It should never be forgotten that there were far more Axis divisions in Yugoslavia when the Western Allies were supporting me than later when they abandoned me and began supporting the Yugoslav communists. In the forefront of the British propaganda campaign against me, the main element of which was that I was not killing enough Germans, were your personal friends: William Deakin, Fitzroy Maclean and your son Randolph. It would be most interesting to establish how many Germans these three Britons killed. It would be even more interesting to determine why you didn’t send these three to the occupied British Channel Islands instead of to Tito’s headquarters in Yugoslavia. 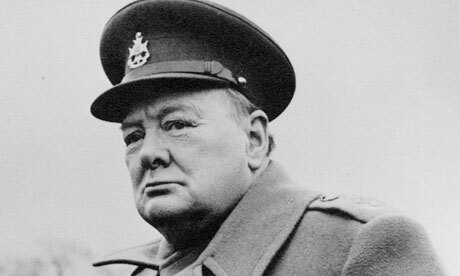 Why Winston, did you not start setting Europe ablaze from your own territories by urging the British citizens on those Islands to kill Germans? Why did you wait for me to do it in my homeland instead? The initial German attack on Yugoslavia made swift progress. The Government was driven from Belgrade. In the hills, however, a new Yugoslav hero emerged. Mihailovic, fighting a gallant delaying action, rallied the remnants of the Yugoslav Army and began an open and effective guerrilla resistance to the German Army. Because of this unexpected resistance, the German’s timetable of five weeks between the attack on Yugoslavia and the drive on the Soviets stretched to ten weeks. When it began, June 22nd, it was weakened by the necessity of maintaining several divisions in Yugoslavia to hold that flank. 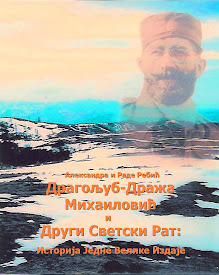 In spite of all of the British assistance via positive propaganda and supplies to the partisans, and in spite of the fact that I was not receiving any help from anyone in the world, Tito knew that he and his partisans could not take Serbia from me without direct involvement of the Soviet Army. When the Soviet troops reached the Yugoslav border, Tito was still on the island of Vis, being protected, fed and supported by the British. On September 18th, 1944, Tito flew from Vis east to ask the Soviets to enter Yugoslavia, leaving you holding the bag. You cursed the turn of events, but it was to late to change the course. Tito was not your Ally after all, was he? 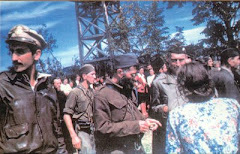 On September 29th, the Partisans and the Red Army reached an agreement for the entry of Soviet troops into Yugoslavia. I would leave Serbia in late September of 1944 for Bosnia, and on Oct. 1, 1944 the Red Army entered Yugoslavia. On October 6th Tito returned to Yugoslavia from Moscow. The dictatorship began, and my fate, along with the fate of so many of my good and loyal followers and that of my beloved homeland, was sealed. You, Winston, went down in the history books as a great statesman, an iconic, bigger than life figure that remains idolized as a hero to this day. I was just a simple soldier who became a General who led his forces and his people in a valiant battle against one of the greatest evils ever to befall mankind. You gave me the monster. I fought the good fight and gave you the best that I had. For this I paid with my life. You wrote a lot of history books. But how accurate and honest is your version of history, Winston? How much of that history is self-serving and teaches the future generations nothing about the real mistakes that were made and what should have been done to avoid them? It is my belief that you ultimately cared for nothing but Britain. As a result, the lives, homes and cultures of non-Britons were taken and destroyed without a care or second thought. I can only hope that one day, the study of history will provide an honest evaluation of the heroes and villains of the 20th century and how they came to pass. You, Winston Churchill, were a world leader at a pivotal time, the great statesman, the historian, the great orator, and you remain the legend. I am just a soldier, who knows the truth.